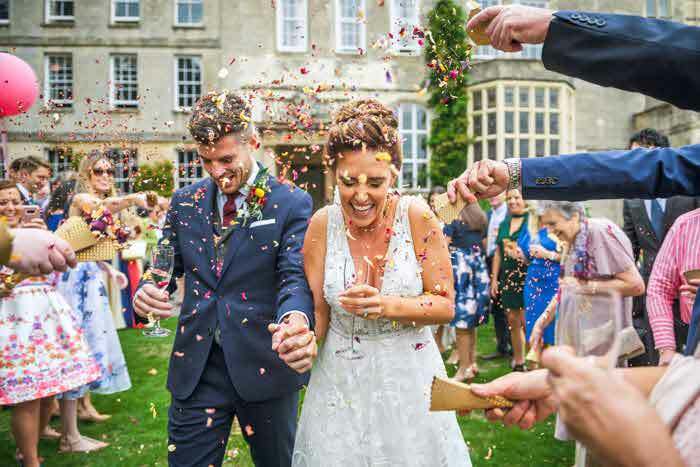 When it comes to wedding photography, there's no shortage of talent producing innovative commemorations of couples' happy ever after. However, we've whittled it down to just six of the best, who all capture the day in a bold and inspiring way. Here are our pick of ones to watch and admire when in search of the photographer for your big day. A professional photographer since 1995, Joe Buissink's wedding portfolio is awash with high-profile clients, from Jennifer Lopez to Christian Slater. 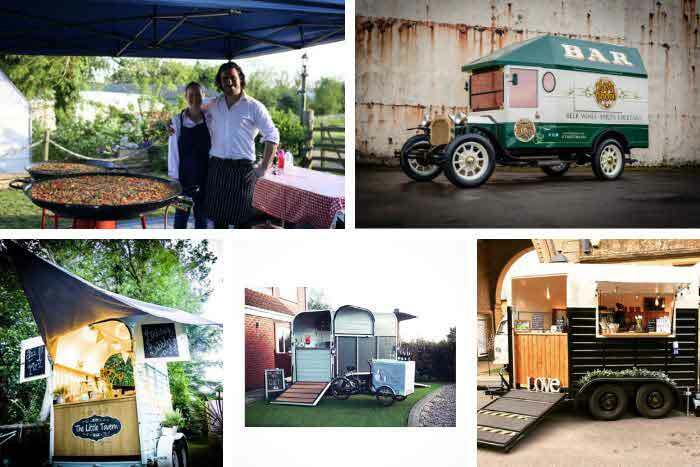 A self-proclaimed 'seeker of truth' at weddings, his work has a distinctive style. Celebrity client Hilary Swank describes his images as "works of art - the images he captures speak of love in a way that language cannot". Author of Wedding Photography From the Heart and The Wedding Box, Joe also boasts a string of awards, most recently receiving the Lifetime Achievement Award from WPPI. 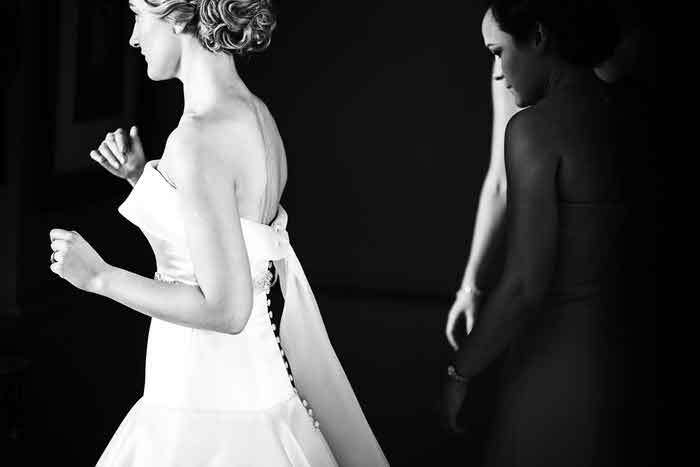 Based in Beverly Hills, Joe captures weddings all over the world from Mexico to the South of France. This is the first of two images that Joe chose to represent his style, which he refers to as 'life imitating art'. "It was shot on Kodak Portra ISO 800 film, roughly 10 years ago," he says. "I picked it because after all these years it remains one of my favourite pictures. Also, my work is about the essence of people in moments. This image speaks volumes about 'the moment'." Joe shoots on Canon - a 5D Mark III for digital and the 1V for film. This image was shot with the 24-70mm f/2.8. Continuing, Joe says: "I'm about the moments." And this second image illustrates his point. But how does he ensure he captures it every time? "I have the luxury of waiting for the moment to come together because I hire primary shooters - I'm the second shooter on every gig!" he explains. "This lovely lady was on her cell phone behind the wall. I watched the bartender and waiter for several minutes as they pointed out their view to one another. Eventually, it all came together." 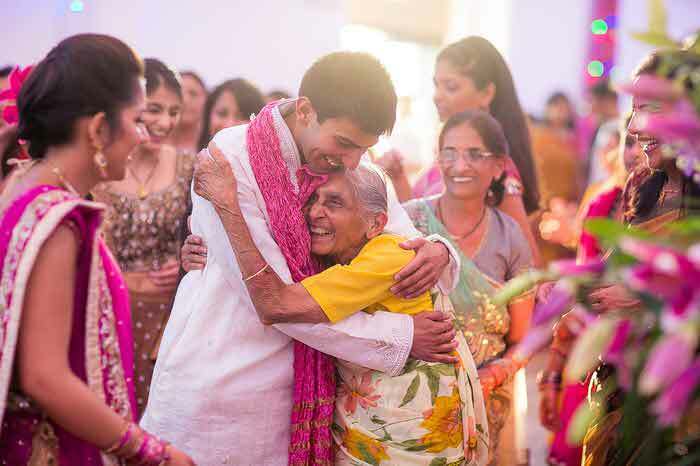 Based in Harrow in north west London, but with an international client base, Sanjay Jogia specialises in Asian and Indian wedding photography. Producing fashion style shots with a photojournalistic edge, his philosophy of 'love and light' aims to capture "natural moments as visual memories". Sanjay caught the photography bug early, taking photos from the age of eight, but qualified as an architect before starting his career as a professional photographer. On his website, testimonials describe Sanjay's work as capturing "the traditional essence of a wedding" with a modern twist". 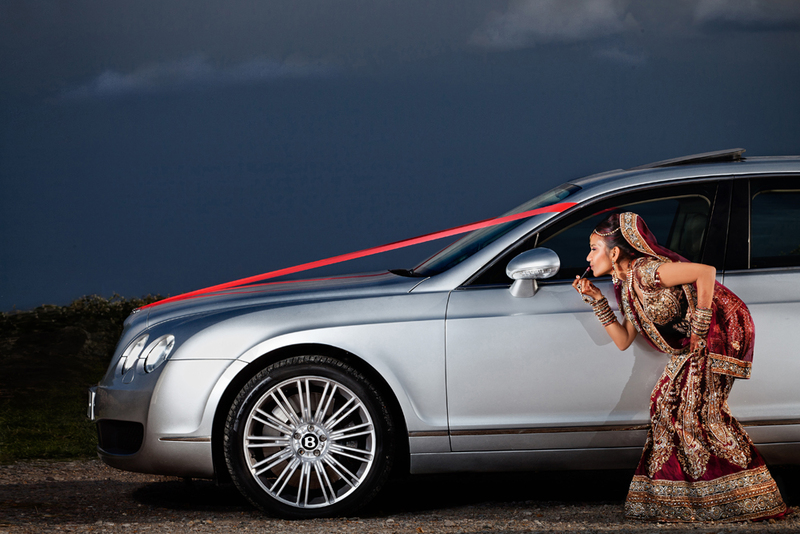 "I chose this image because it represents one half of our approach perfectly," says Sanjay, about his wedding portrait. 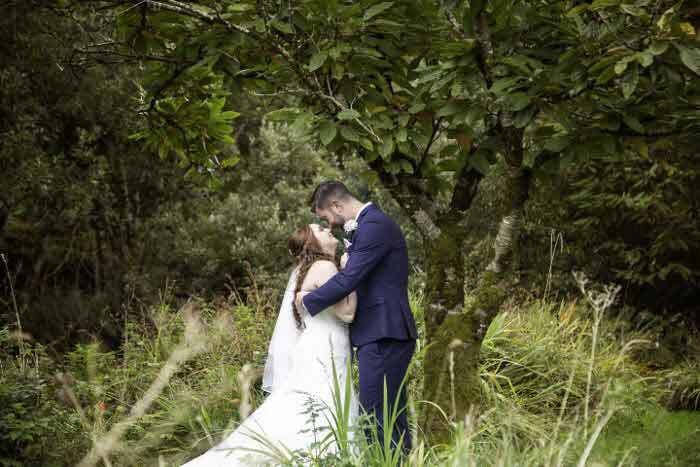 "Our approach is a combination of what we call 'fantasy' and 'reality'; the essential components of what makes a wedding to our brides and grooms - with this approach we can tell an overall story in our unique way. The 'fantasy' images are essentially the portrait and are heavily influenced by fashion, movies, music, architecture, art and (with me being a petrol head) cars! This 'fantasy' image is inspired by something I caught the bride doing in the corner of my eye. The initial concept of the image was to convey the fashion and beauty of the bride, while the car and the bride's sheer elegance lent a sense of class and luxury. Careful and intelligent lighting is incredibly important to our approach, be it dynamic and edgy, subtle and classic or anything in between; we want to light the scene to give the image an unusual character that's easily recognisable as ours." The image was captured with a Canon 5D Mark II, Canon 70-200mm f/2.8 at 125mm, 1/250 sec, f/14, ISO 100 with multiple off-camera flash lighting. 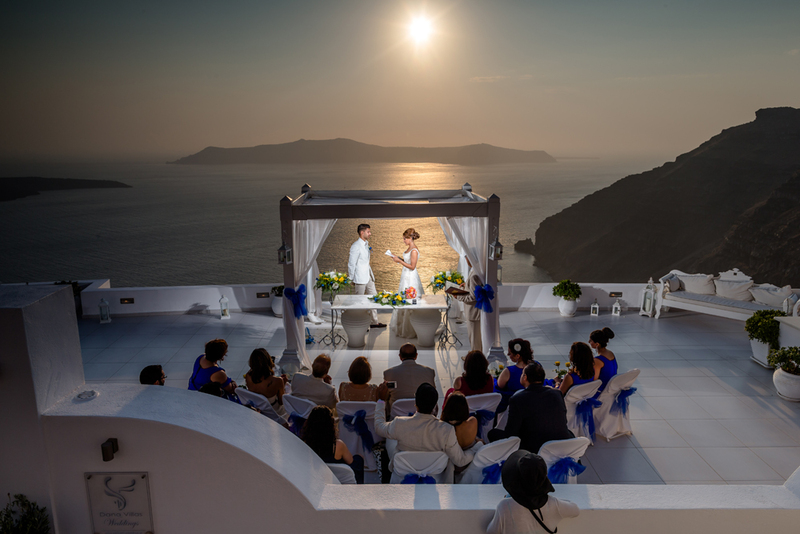 The second image was taken at the wedding of Anita and Rajan in Santorini, Greece, captured with a Canon 1D X, Canon 24mm f/1.4 at 1/250sec, f/9, ISO 50 with off-camera flash. "This image represents the other half of our approach - 'reality', the documentary aspect of the day. It's either a raw photojournalistic approach where we can freely photograph from the centre of the action, or a more candid approach from a distance. In this case, we were shooting directly into the sun but we didn't want to compromise the imagery by eliminating the landscape from the scene. Typically, in this situation, one might expose for the landscape and end up with silhouettes, or expose for the shadows and blow out the scene, but I wanted the best of both worlds! 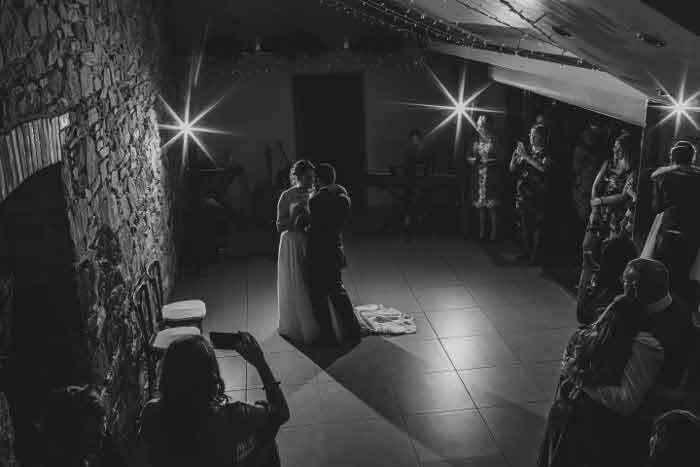 I wanted to treat this scene like a stage-set with an audience, so by using off-camera lighting, various combinations of filters, and documenting the beautiful and emotional ceremony silently, we created this image and many more like it." With a college degree in acting, Susan's love of drama and interaction with the dream world of the stage is recurrent in her work. Her clean documentary style captures the intensities of feeling and unique moments that inhabit a wedding day. Susan's journalistic approach to wedding photography moves away from posed family images; her work detailed and expressive. "My love for weddings is a complex thing. 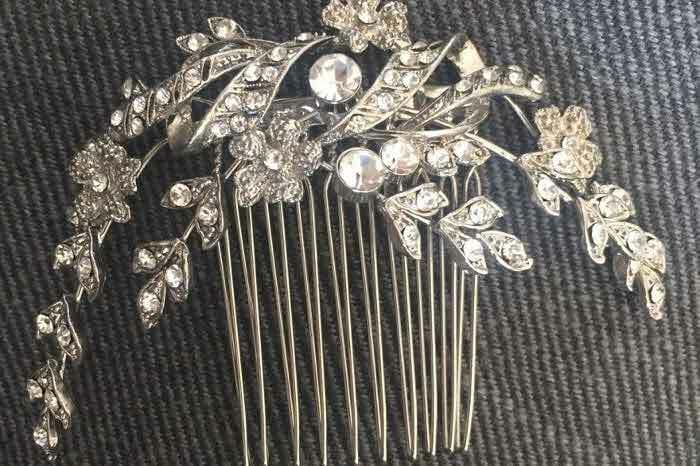 my incessant love of a good story, my craving for aesthetically lovely things, and my non-stop desire to create beauty," says Susan on her website. Based mainly in Brooklyn and Philadelphia, but with a portfolio that ranges across continents, she was named one of the Top Ten Photographers by American Photomagazine in 2012. "I always strive to compose my images as clearly as possible," says Susan. 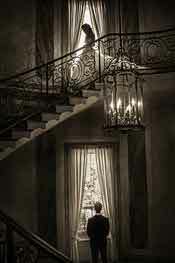 This first image was captured as the bride was walking down the stairs to see the groom for the first time at a wedding in Long Island. 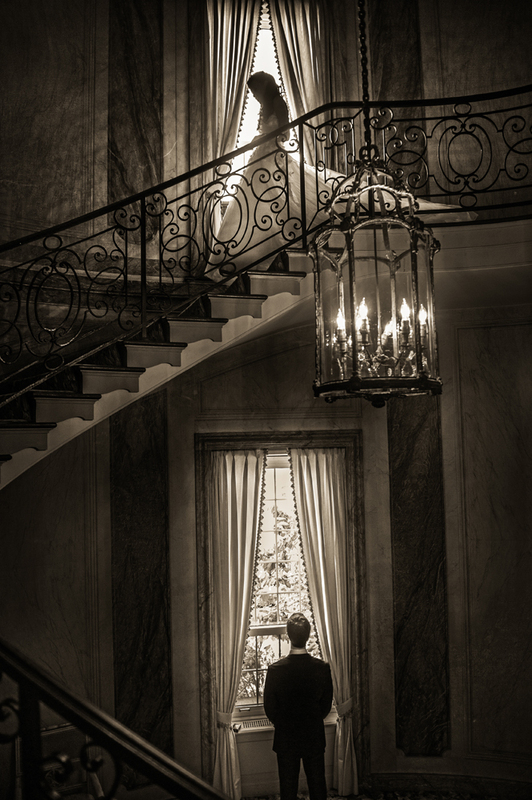 The photo represents the clarity of scene and feeling of anticipation that Susan strives for: "I love the movement of the bride contrasted with the static waiting stance of the groom," she says. 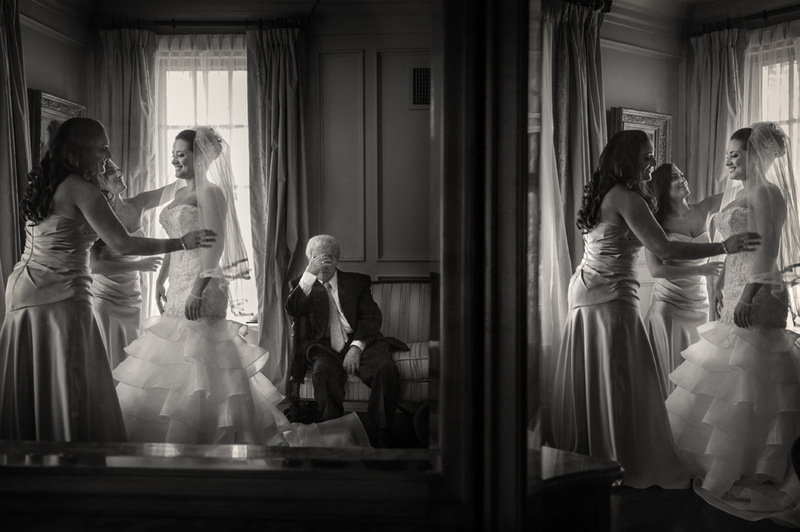 The second evocative image is of the bride getting ready with her grandfather on the sofa, taken in New Jersey. The combination of intense emotion fused with excitement in this black and white image captures the family's story in an uplifting way. "Her grandfather suffers from Alzheimers and was very emotional, the entire family was beautiful to watch while they interacted," says Susan. 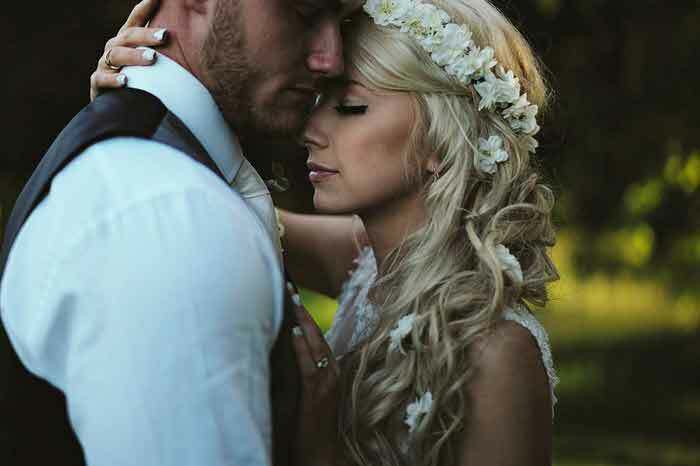 "It touches on the moments of the wedding day that I find so compelling." 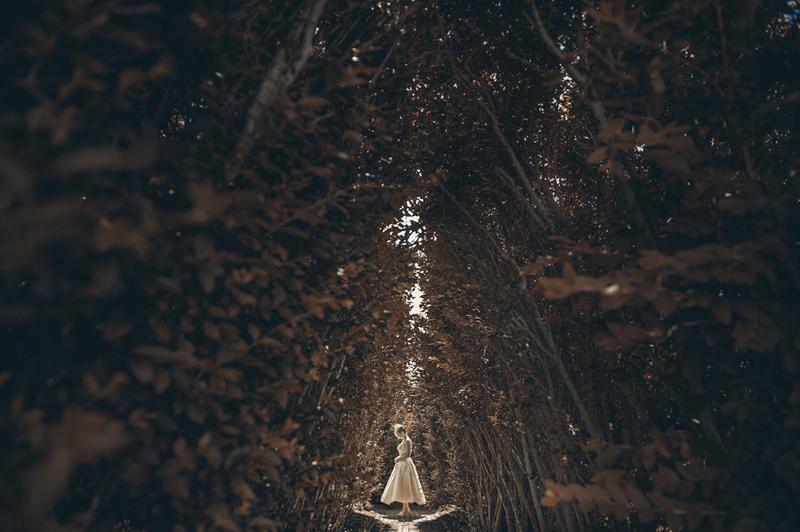 The final image is of a bride, Sarah, taken at her wedding in Cape Cod and "combines beautiful light and strong composition", exemplifying how Susan draws on natural light to create a striking image. Craig and Kitty Fritz, the couple behind Twin Lens Images, work across the United States and internationally from their base in Albuquerque, New Mexico. 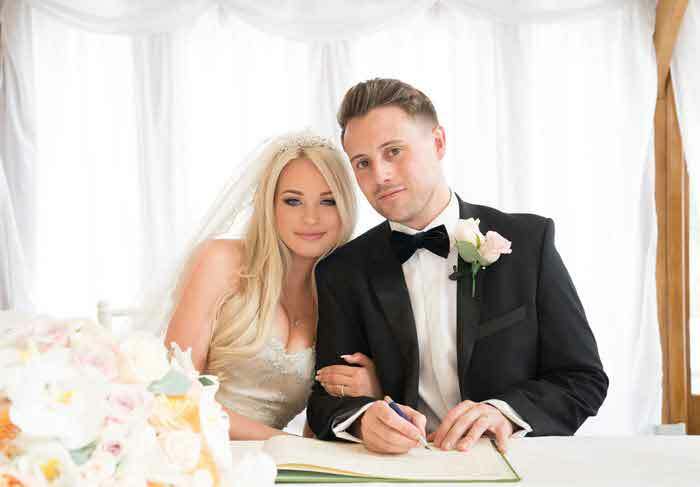 Running their wedding photography business alongside their careers in photojournalism, they form a 'spirited collaboration'. 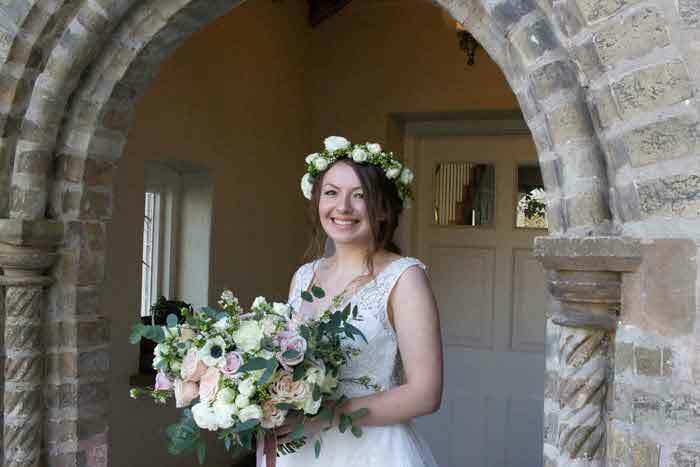 Their website describes their approach to wedding photography as "a labour of love" aiming to create "a stunning narrative of your wedding day". They take the documentary approach of a photojournalist to capture the big day. Keeping their presence unobtrusive, the resulting images preserve the "subtle and overwhelming moments" that fill a wedding day. 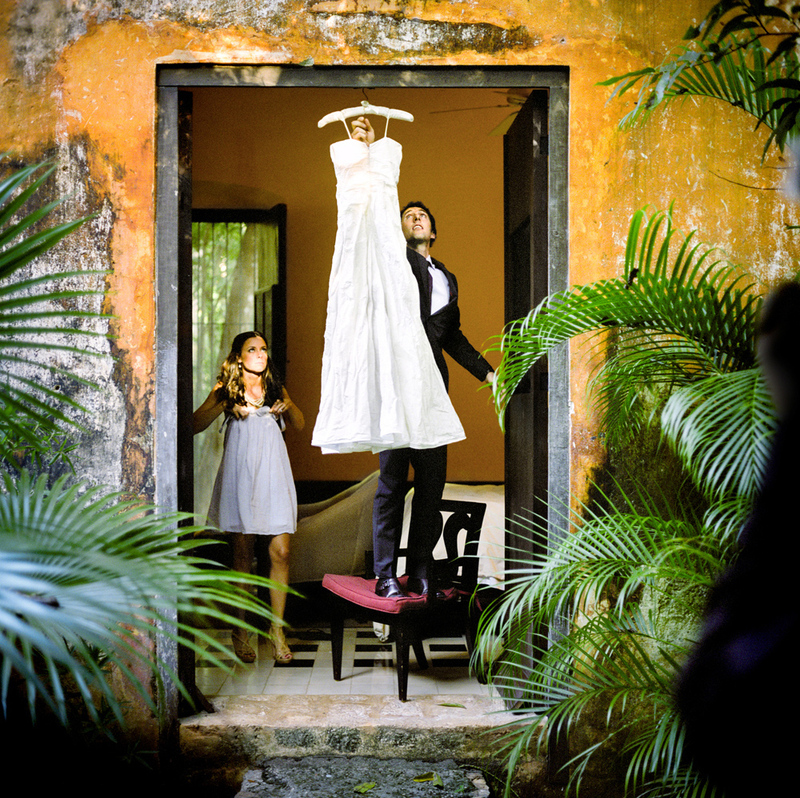 These two images were taken at the wedding of Erin and Ben Chrisman in Campeche, Mexico, at the unique location of Hacienda Uayamon. 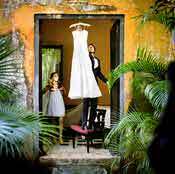 "It was an amazing wedding in a stone chapel ruin in the middle of the Yucutan jungle. a tropical paradise!" exclaims Kitty. "I'm sure we'll never see another wedding quite like it." The images capture the story of the day in documentary fashion, "mixed with the fairytale visuals we had to work with", Kitty says. "They did their getting ready together in the same room, and the photo of Ben getting Erin's dress down for her was taken during this time. They gave us full access to be flies on the wall, capturing all the moments between them, their family and friends." 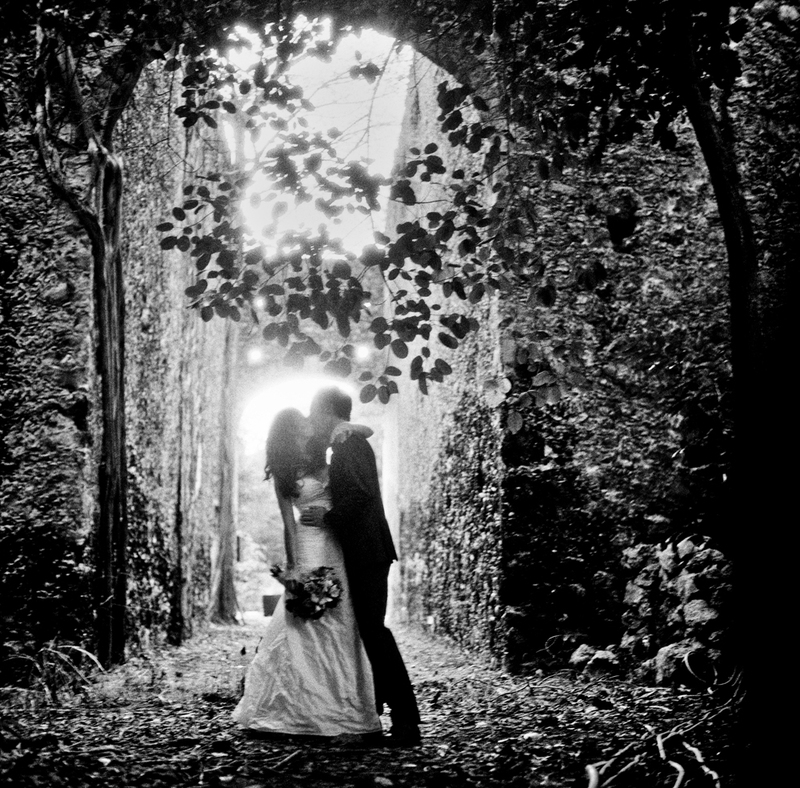 "The arch image comes from the casual portrait session we had with them in the colonial ruins of the venue." Feeling they were blessed with the ideal couple to shoot, Kitty explains: "Craig and I did virtually no directing. Erin and Ben are so comfortable in one another's space - they are so in love, we simply captured them being together." Both of the images were shot on medium format film, Kitty explains. "It's something we feel sets our photography apart from most of what's out there," she says. "We adore the process of shooting with film as well, as the results have a nostalgic, artistic sensibility." Dorota Kaszuba and Michal Warda work as a team; "in life and at work - it gives us a much wider perspective", they say. Their website's tagline reads: "Life is a series of pictures", a sentiment born of their reportage style and love of street photography that comes through in their wedding shots. One client suggests their images "capture the intangible, reveal the concealed". Based in Warsaw, Poland, they set up WhiteSmoke Studio in 2005. 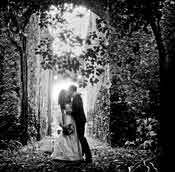 They have been named World's Best Wedding Photographers two years running by Italian luxury bridal magazine JM: Just Married. "We love the power of a simple frame, without tricks and processing that draw attention from the main subject - the couple. We always try to show people just as they are. 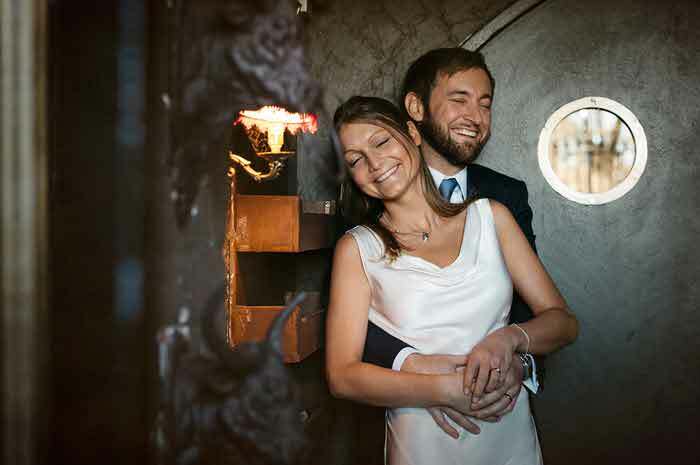 This is our favourite portrait, made on a wedding day," Dorota says of her first choice. "It's the perfect example that it's possible, even though you only have a moment. Our style can be described as creative documentary. We focus on the storytelling aspects of the day but also like to spend a bit of time at each wedding creating portraits that are creative and a bit quirky. We want our clients to have images that are modern but timeless at the same time, and that's what we love to do as well. Although there are two of us, a lot of our clients say that they barely notice us. We just try to be at the right place at the right time. We think that working with what is actually happening on the day will result in genuine moments that aren't forced. We work with a minimal amount of equipment and move around as if we were guests as this is far less noticeable than being on the outside with a long lens." The portrait was captured in June 2012 in Warsaw, Poland. "We both started from street photography, with many years practising and practising. and still more practising!" Dorota says of her and Michal's start in photography. "It's an example that old-fashion storytelling is still fresh. Simplicity is always the best way to show people in a particular time and place - so timeless. A classic camera and lens is also helpful." 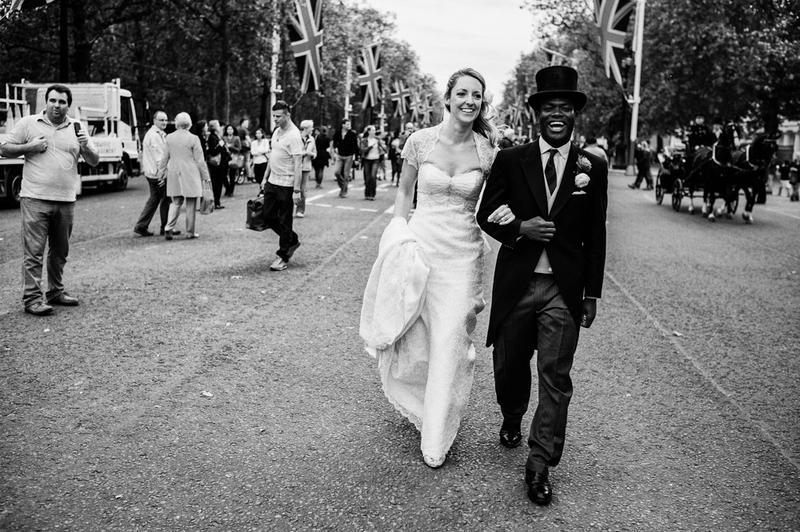 The couple's root in street photography explains the candid style of their second image choice. This was taken in June 2012, at a wedding in London. Both images were shot on a Leica M9, 35mm at f/1.2. 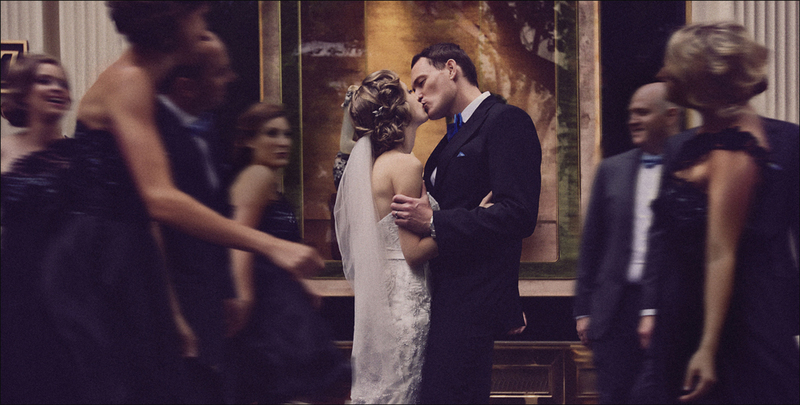 Based in Melbourne's Docklands, Australia, Yervant approaches every wedding as a blank canvas. His desire for technical and aesthetic perfection manifests itself in the creation of an "heirloom for many generations", he says on his website. Among his many accolades, Yervant was named the Most Influential Photographer of Our Times and received the Lifetime Achievement Award (WPPI) in 2010. Yervant's 20 years in the business have seen him push the boundaries with his arresting expressions of fashion meets wedding. In addition to this, the Canon EOS Master also shares his approach to the art of photography through workshop programmes in wide-ranging locations across the globe from Venice, Italy, to Guangzhou, China. One of the top international reportage stylists, Yervant is not simply about pure satin brides, baroque locations and slick after-effects. 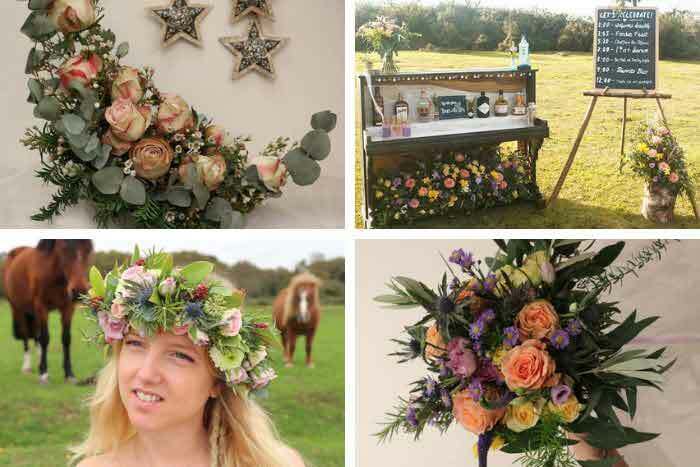 His keen, quirky observation of his immediate environment brings sensuality and a 'fashionista' approach to wedding. This image looks like it's from the pages of Italian Vogue, as do many of his images, and exudes his fashion-led style. 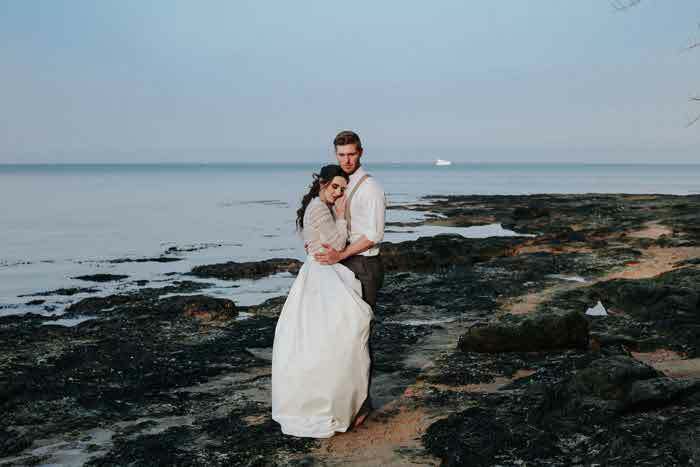 "Wedding photography is about being a portrait photographer, fashion photographer, landscape photographer and photojournalist all within any five minutes of a wedding day - delivering the story of the bride and groom with insight, accuracy and glamour," says Yervant, as both of these images depict. Whilst these are all beautiful photographs, it seems to me they are mostly ordinary photographs taken in extraordinary surroundings. All art is subjective and looking at most of those shots, if I had taken them, they would be in the trash bin. I understand the essence of art, the eye of the photographer, etc., but these are not all things to all people. Nice pics? Maybe. Everyone's cup of tea? Nope.